‘Is social media a wastage of time?’ – This is a common question for the business professionals the answer for which is affirmative for many. The present society is hyped by social media. It is often recommended that you open up an account with Pinterest, Twitter or Facebook and post something related to your business. You will experience a total change in your business scenario. However, the task is not that easy or simple. As you can understand from the name that social media was meant for social activities and not for businesses. This indicates that the rules for business engagement are completely different. 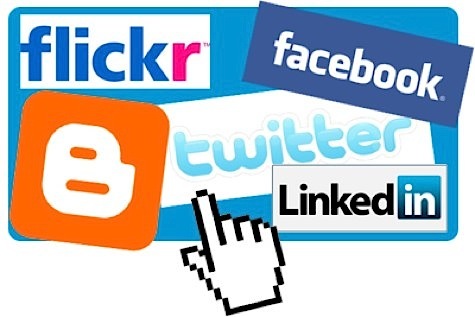 Many business personnel think that marketing through social media is nothing but wasting time. But if you have attended any business event, you must have seen how social activities are used for the promotion of business. Connecting to online friends through social media has a much different approach than marketing your business through this same media. If you desire to have fruitful result through social media actions, you should consistently do it for an extended time period. Don’t think that social media marketing is an immediate lead generation action. You need time to build up a relation with the audience who will connect, pay attention and trade with you. Plan a strategic promotional activity and be consistent on the media. Just dedicate a few minutes every day and you have the result. Most people are of the view that doing business through social media means posting the business name into as many sites as possible. But this is not the right approach – it is like giving business cards to everyone in a party. This is not social media but spam. A planned social media business is one where you concentrate on a single social media website to figure out the way it can work for you. Check one site and then move ahead with the other. For instance, for a photographer Pinterest and Facebook are the ideal sites to start with. These sites can leverage their gorgeous photographs. If you are a photographer, you will surely find these sites the most appealing. Start social marketing with that site which appears sensitive for your business needs! You are sure to reap the best results! Try out these steps and use social media marketing in the right way. Focus on your business and give time! Author’s Bio: Online email support services experts are the best to get in touch with for any sort of information on social media. Paul Smith is one such professional you can contact.